Target is running some great Daily Deals for your kids today! 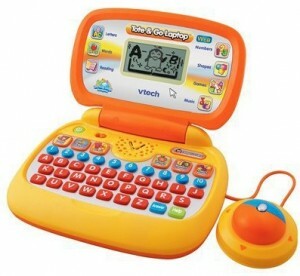 For your young ones, grab this VTech Tote & Go Laptop for only $13 (ships for free)! Your kids will love their first computer as they learn more about letters, numbers, and vocabulary! For your really young ones, score a 23 oz container of Up & Up Gentle Infant Formula for $10.84. This deal also ships for free! These deals are only available today while supplies last!